For the highest-quality computer table selection in the greater Atlanta area, visit our showroom here at NorthPoint Office Furniture. When you enter our massive showroom, conveniently located in Roswell, you’ll see exactly why we’re the premier office furniture store for businesses and homeowners in Alpharetta, Sandy Springs, Marietta, and the surrounding areas. With our full displays, you’ll be able to envision what our furniture may look like in your home or office. Our knowledgeable staff will also help you find the right products for your office, and will be able to suggest efficient space planning techniques. We take into account your needs, budget, and timeline to help you make the best purchases for your company or home. 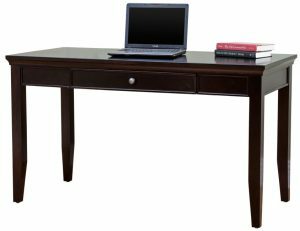 By purchasing a computer table from NorthPoint, you’ll also benefit from being able to choose from the best selection of top quality name brands, like Cherryman, DMI, HON, Global, Martin Furniture, and more. We are very selective in the product lines we carry, and only offer you quality furniture that we trust. When you purchase a computer table or any other office furniture from NorthPoint Office Furniture, we will assemble all of your products at no additional cost. We also honor all manufacturer warranties for the office furniture you order, and if a piece of furniture you purchase from us ever needs repair in the future, we can get the necessary replacement parts for you. For more information about the computer table selection we offer for residents of Alpharetta, Roswell, Sandy Springs, and the surrounding Atlanta areas, contact us or visit our showroom today.